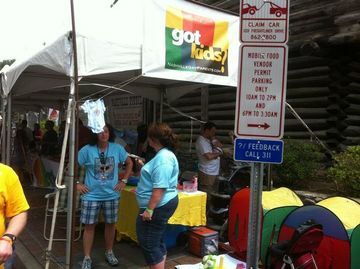 Nashville Gay Parents members Stephanie Shelton and Lisa Cross were part of Tennessee Equality Project’s marriage equality initiative throughout Tennessee on Wednesday, August 7, 2013. The couple were rejected a marriage license in Lebanon, TN (Wilson County) as a first step needed for attorneys to begin the case for marriage equality in Tennessee since the Supreme Court decision overturning the Defense of Marriage Act. 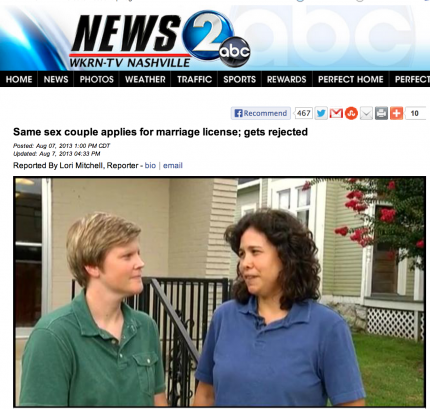 The couple appeared on several local news outlets for their first steps toward equality. See the WKRN story here.